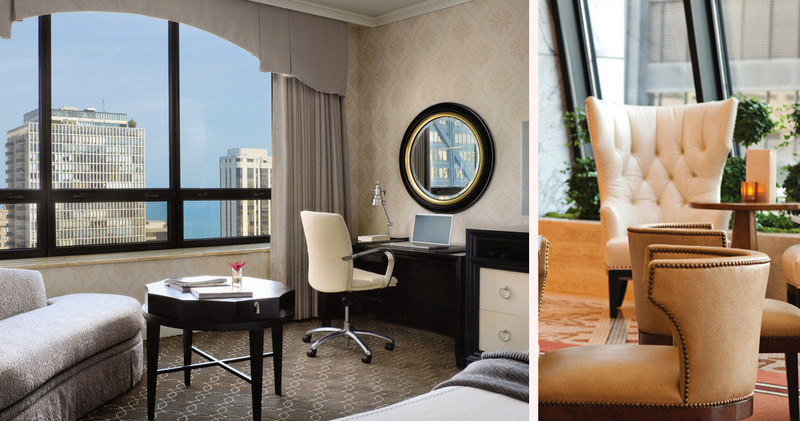 The Ritz-Carlton is a luxury hotel with spacious accommodations and beautiful views from atop the Water Tower Place. 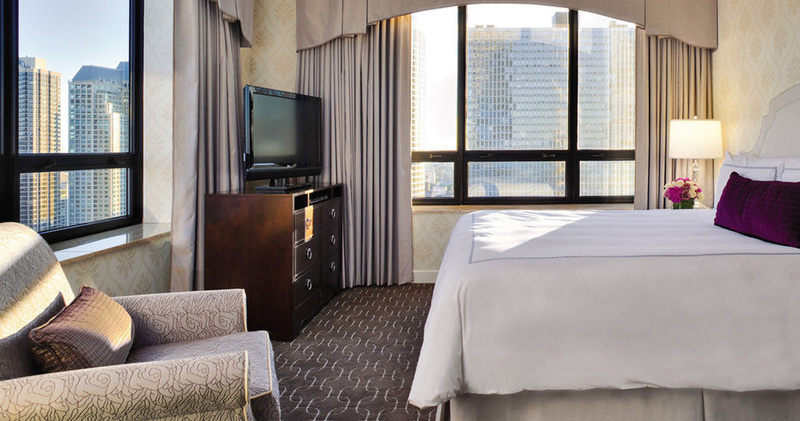 The Ritz-Carlton is located atop the Water Tower Place, offering easy access to the Art Institute and Michigan Avenue. 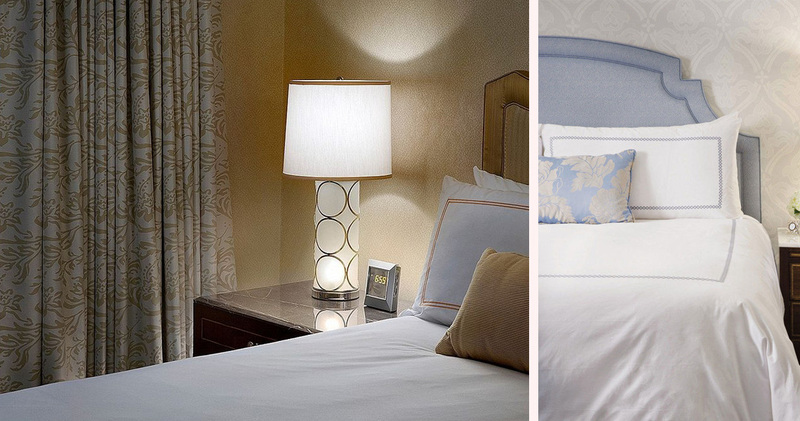 The luxury hotel has timeless elegance and classic style. 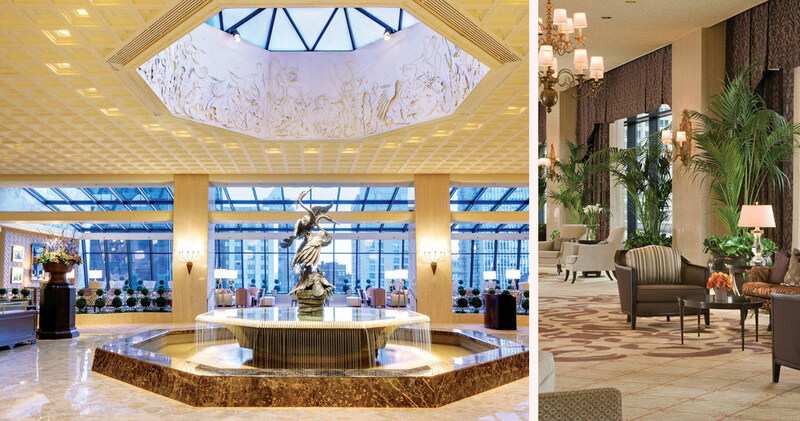 The lobby features luxurious chandeliers, inviting seating nooks and large picture windows for beautiful views. The open space of the lobby is enhanced with natural light while a grand water fountain acts as the focal point of the lobby. 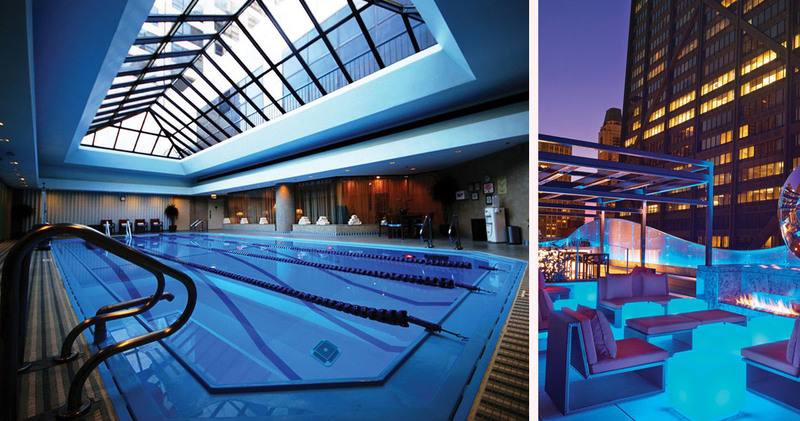 The Ritz Carlton Hotel Chicago has an indoor lap pool, a luxury spa and a full-service fitness center. 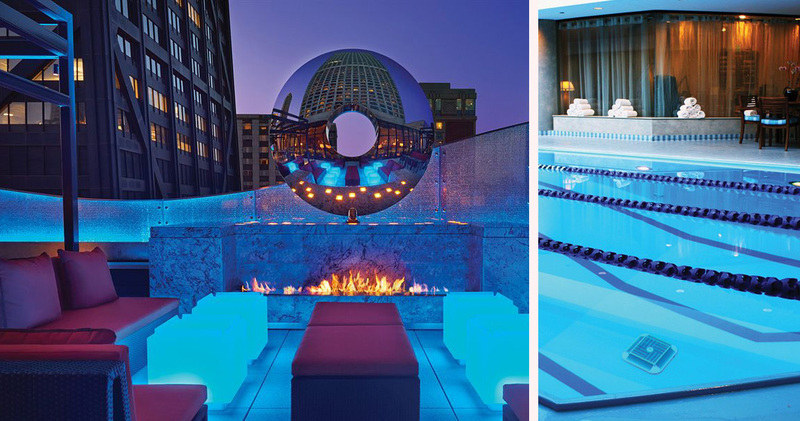 Guests can participate in a variety of fitness classes like rooftop yoga, pilates and water aerobics. 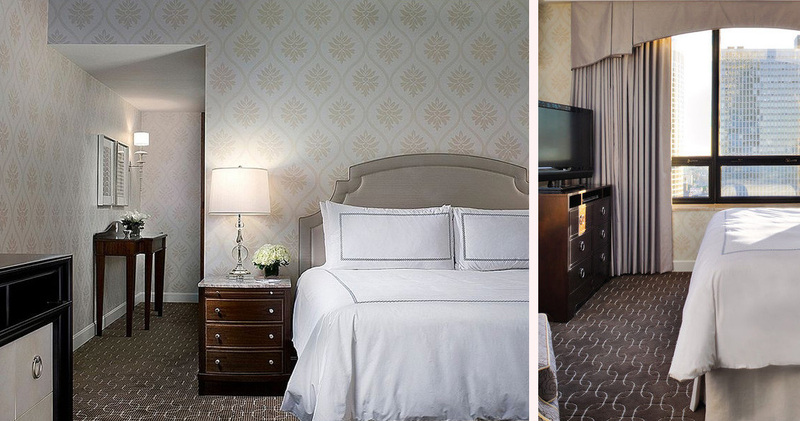 The guestrooms at the Ritz Carlton are sophisticated and offer a blend of contemporary and traditional decor. 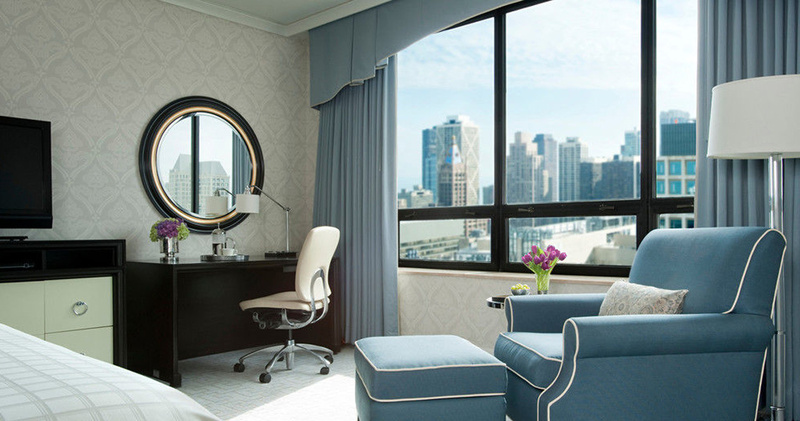 Featuring a blue topaz or pewter color palette, the guestrooms feature large picture windows with beautiful views of Lake Michigan and Chicago skyline. The beds are inviting and comfortable with plush down pillows and duvets. Rooms feature practical amenities like an executive desk, ergonomic chair, a plush armchair and a refrigerated private bar. The bathrooms at The Ritz Carlton Hotel Chicago feature marble baths, plush slippers and terry robes. 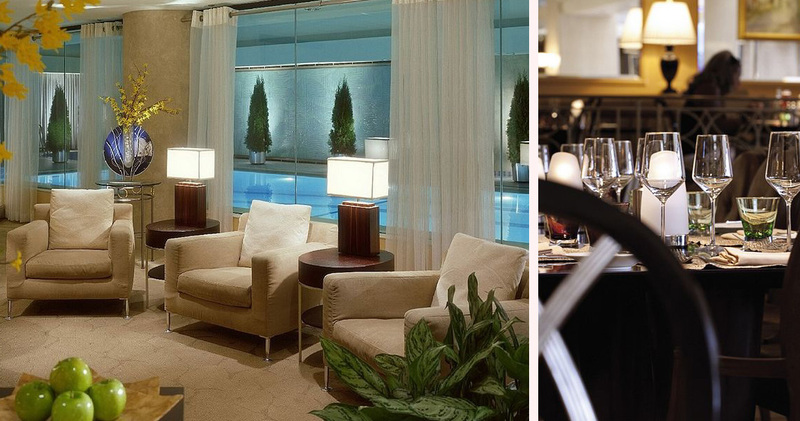 The Deca Restaurant + Bar at The Ritz-Carlton received the 2014 Bib Michelin Gourmand Award. 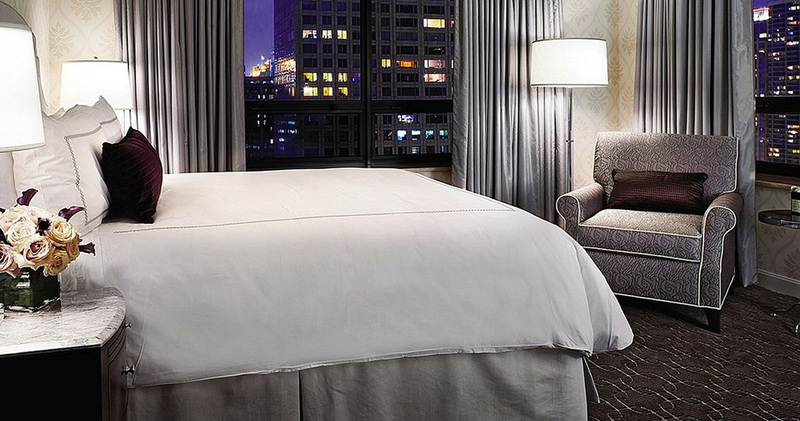 The sophisticated restaurant has Art Deco interiors and beautiful views of the Magnificent Mile. The restaurant has a brasserie-inspired menu along with craft beers and handcrafted cocktails. The Dec Rooftop Lounge + Bar is a chic rooftop venue with beautiful views, shared plates and cocktails.